While several believers feel that church pews provide a sense of community during worship, others believe that chairs provide a sense of a more personal time of worship instead. Whatever your feelings may be on the function of church pews, here are some advantages that having pews offers. When most people think of churches, they instantly think of pews, which are communal places to sit and worship with others of their same faith. 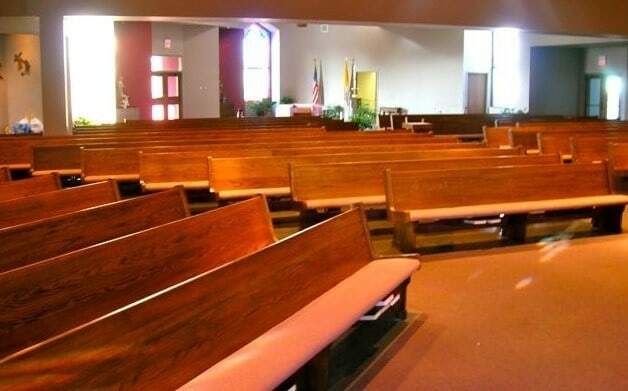 Most people have a positive reaction to worshiping in a church facility that contains pews. These feelings are born out of past religious experiences. To most, pews look and feel like a church. These feelings are not confined to regular church-goers. They even apply to the “unbelievers” as well! This is evidenced by the fact that many non-church goers look for churches with pews for weddings. Because church pews have been associated with church worship services, many people associate pews with prayers and spiritual aspirations, which they like to include in special ceremonies even if they aren’t religious. In Europe, many European churches consider the pews to be a part of the furnishings of a protected historic building. As such, changing pews is forbidden! While “flexibility” might sound, contradictory considering pews are inflexible within the floor space once installed, the actual seat space itself is very flexible to each individual. Regular chairs provide a standard, non-negotiable, 24-inch seating space, resulting in discomfort for larger individuals, and too much room for small children. On a church pew, larger individuals can take up more space as needed, and a smaller person can take up less. And because space is variable depending on the person sitting there, pews can be “packed” for special events. Spacing is naturally adjusted depending on relationships—families and couples generally sit closer together, while appropriate spacing is kept between strangers. Pews also give young children the ability to lie down on their parent’s laps without disrupting another person’s space. New church pews are considerably expensive, which is often times a drawback for purchasing modern pews. On the other hand, used and refurbished pews are widely available for a fraction of the cost of buying them new. Ultimately, pews instill a sense of community, a shared space with others to worship in. Chairs are perceived as personal, and enable feelings of individuality instead of unity. Pews are synonymous with churches for many faithful worshipers, which is why so many people prefer the traditional church benches to more modern chairs. 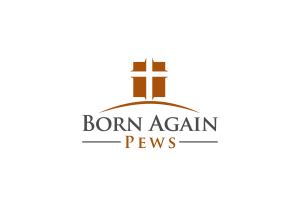 Born Again Pews offers a wide selection of beautiful church furniture that can create a peaceful place of worship for faithful individuals.